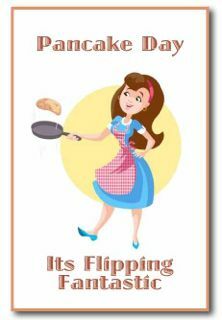 Pancakes are an integral part of Shrove Tuesday and a tradition has developed in many countries of races involving contestants running along a course carrying a frying pan containing a pancake, which must be tossed an agreed number of times during the race. Turning this tradition into a fundraiser is easy and is always a popular event on any organisation's fundraising calendar. A suitable venue such as a school playgound, a playing-field or section of the local park. Anywhere where you can mark a course out that's about 100m long. Some course markers - rope or bunting to hold back the cheering crowds! Markers to show racers when they must toss there pancakes. Flags or painted traffic cones are good for this (3 tosses in 100 m is probably about right). A finish line - tape or bunting. Some pancakes - make plenty as in the cut-throat world of competitive racing tragic pancake accidents happen! 2 Free Range Eggs - Ok there is no proven link between free range and improved pancake aerodynamics but you wouldn't want to be weighed down by your conscience would you? Sift the flour into a mixing bowl. Make a well in the middle and break the eggs into the crater. Slowly add about half of the milk whisking in the flour from the edges a little at a time. Add the rest of the milk and whisk until you have a batter with the consistency of runny single cream. Put a little oil or butter into a frying pan and heat until smoking hot. Pour enough batter into the hot pan to cover the base. For racers a thicker pancake is best. Fry the pancake for a couple of minutes then flip over - either with an elegant and professional looking flick of the wrist........or use a fish slice!. When cooked on both sides slide on to a plate and repeat the process. - Makes about 10 pancakes. Tip for Pancake Races - once the pancakes are made cover each one individually in cling film. This makes for a sturdier pancake more likely to withstand the rigours of competitive flipping and racing! It is important to advertise your event well to ensure a good supply of contestants and spectators. Its usual for pancake racing to be one for the ladies but there is no reason not to have any race category that suits. Don't forget the kids particularly the very young. There is something about a line up of toddlers all holding minature frying pans that local newspaper editors find hard to resist. Charge contestants a small fee to enter and have plenty of your fundrasing crew around with collecting tins, raffle tickets etc. Make the Pancake Day races a real event for people. If you had a good people person amongst your volunteers who could act as master of ceremonies so much the better. Some organisations encourage dressing up to add an extra twist. Anything for a bit of fun. Then line them up and On your marks - Get set - GO! Pancake Races are not the only option for canny fundraisers. How about a Flipathon. Everyone lines up together with pan and pancake for a sponsored 100 flips. This is the sort of event that would be great for schools or church congregations, with an emphasis on everyone doing it together, at the same time and counting out every flip. So could this be a feature of your pancake day event. Who can flip a pancake over a bar .... and catch it. Alternatively who can launch a pancake from a pan the furthest along a course. Don't forget a big cup for the King of the Flips / Pancake Prince or Princess. Charge for entry and run all your usual other fundraisers and sell refreshments (and pancakes) on the side. This would be a great one for college students or sports teams. Perfect for a staff or school canteen this is really easy. Charge per pancake or how about - all you can eat for a fixed amount! Plenty of sugar, lemon, chocolate sauce or syrup needed. Advertise your event well in advance. You could even sell vouchers for pancakes the day before. That way you know how many you are going to need. An easy one this. 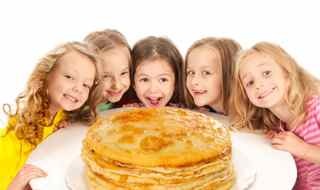 Simply prepare in advance some lovely yummy pancakes and tout them around your town centre, school or workplace. They can be warmed through in a microwave or oven just prior to sale. Offer them with sugar and lemon, jam or maple syrup. Who could resist?